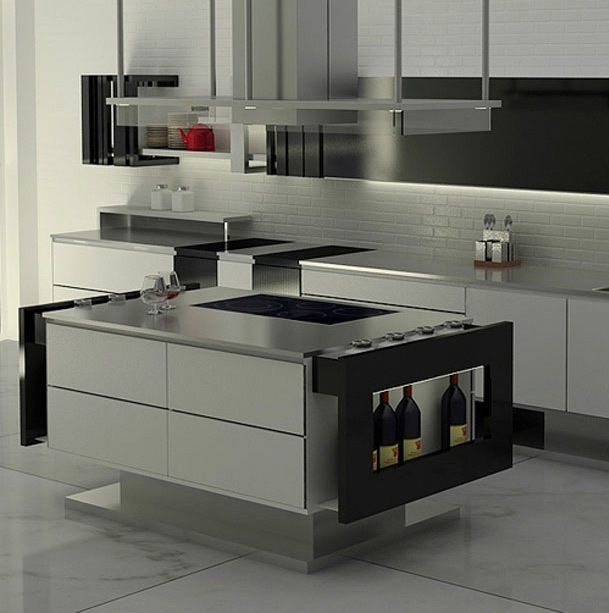 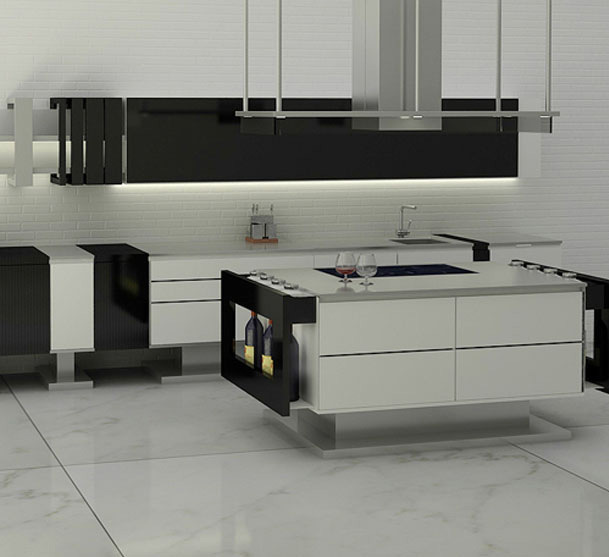 A modern minimalist kitchen design by Hode with its clean lines, flexible features and contemporary finishes makes it possible to get all your food prep and cooking done with ease. 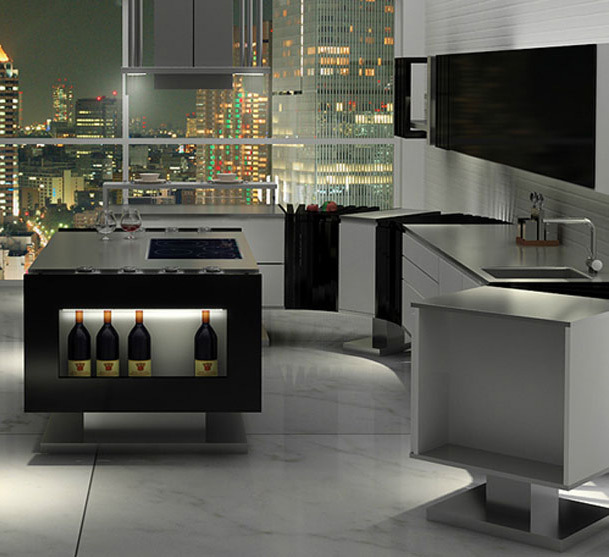 Designed by Italian designer Flavio, this kitchen transforms into a dramatic entertaining area when company arrives, with looks that match its function. 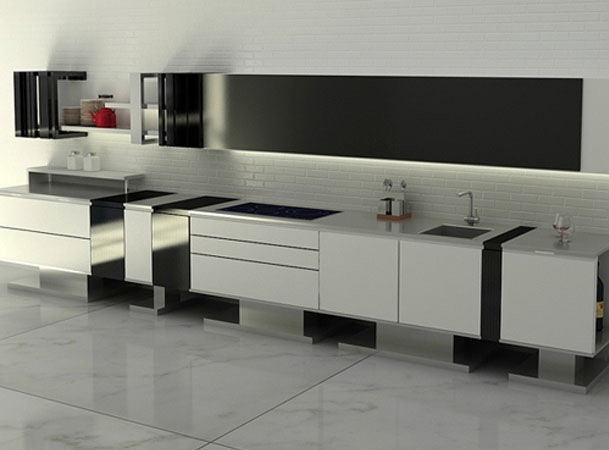 Everything is at hand with plenty of storage tucked behind minimalist cabinets and modular components that can be arranged to suit your style. 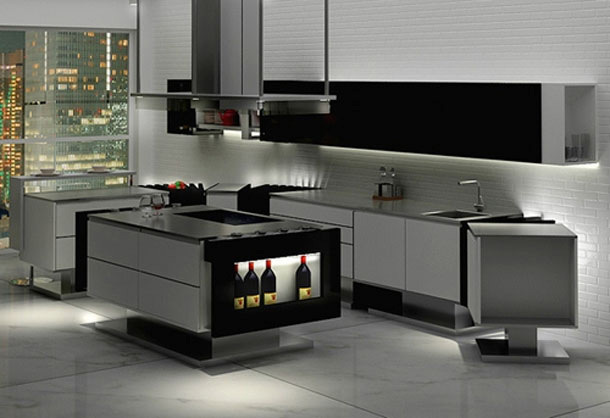 Strategically placed lighting draws the eye to the focal points, like the cool curves under the cabinets or to the wine racks mounted on the island.